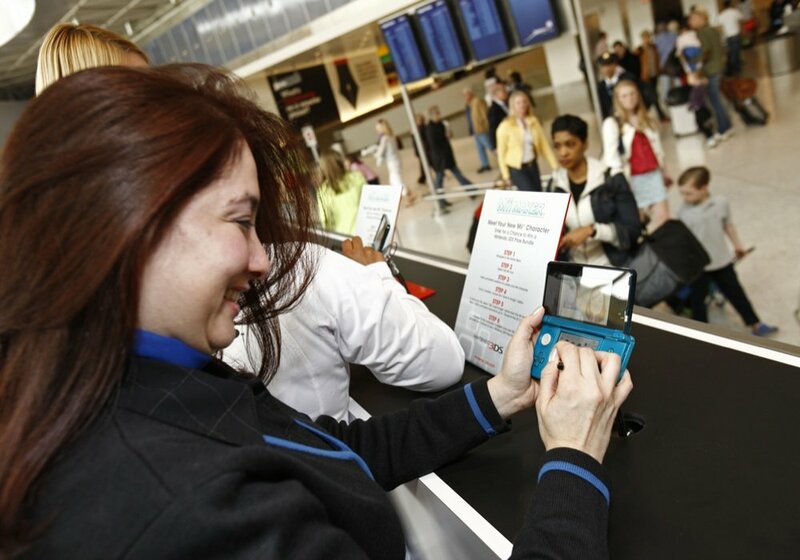 Nintendo of America and JetBlue are teaming up to give air travelers some hands-on time with the new Nintendo 3DS™ system, which lets users enjoy video games and other entertainment in 3D without the need for special glasses. Passengers who visit JetBlue’s award-winning Terminal 5 in New York’s John F. Kennedy International Airport between April 22 and May 30 will have access to an interactive Nintendo 3DS grandstand where they can play games, enjoy 3D photos and videos, and participate in daily prize giveaways. Reflecting the two companies’ shared commitment to delighting consumers, Nintendo and JetBlue aim to deliver a new dimension of entertainment for travelers of all kinds. JetBlue’s Terminal 5 at JFK is already known as a special location, featuring more than 40 food and retail outlets that provide a fun, relaxing atmosphere for busy travelers between flights. The addition of the Nintendo 3DS grandstand will give visitors a chance to sample a variety of games, including Pilotwings Resort™, Steel Diver™, nintendogs™ + cats, Super Street Fighter®IV 3D Edition from Capcom, LEGO® Star Wars® III: The Clone Wars™ from LucasArts™,Asphalt™ 3D from Ubisoft and Madden NFL Football from EA SPORTS. Participants can also use the system to take 3D pictures, play with eye-popping AR Cards and try out built-in software such as the Mii Maker™ application, which lets users create customized Mii™ characters. Nintendo Brand Ambassadors will be on hand to guide people as they try out Nintendo 3DS games and features. Additional sampling opportunities will be available at Gate 10 of the JetBlue terminal for passengers waiting to board. © 2019 Burgeoning Architects, Inc.